The discourse on craft is one of the most researched and contested in contemporary design. It’s also one of the reasons Local Heroes began in the first place. Yet 100 years after the Arts & Crafts movement saved or destroyed craft (depending on who you ask) we still collectively can’t reconcile or accurately define what or who is ‘doing’ craft. It’s a politically and ideologically loaded term. We got in touch with some of the people we’ve been obsessing about on Instagram IRL to ask them to talk about how they define their own design and making practice in the first in a series on modern craft. Edinburgh’s Rowan McIntosh and Rosie Noon recently collaborated to create a special bridal project for illustrator Laura Tippenhauer. 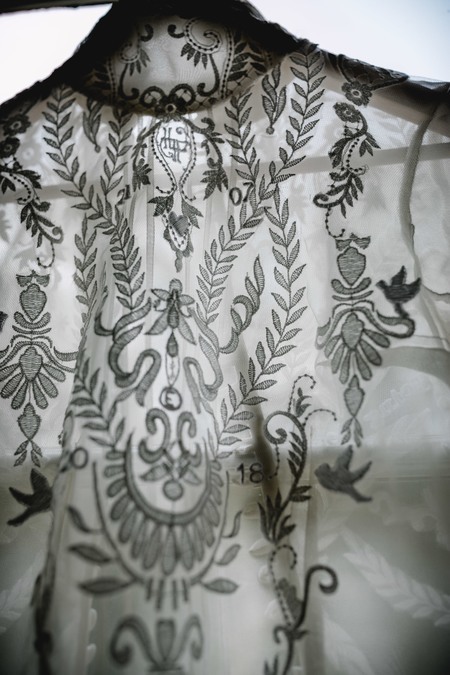 McIntosh worked with the bride-to-be to design a top which she then made by hand using specially-sourced lace, with Noon invited to embroider text and illustrations including delicate monogrammed initials. The result is personal, romantic and irreplaceable, principles both designers strive for in their own practice. Fun Makes Good is led by designer Eleanor Young. Specialising in contemporary patchwork, the Perthshire studio produces bold, bright, design-led interior products and upholstery – as well as large-scale bespoke pieces for commercial spaces and the public realm. 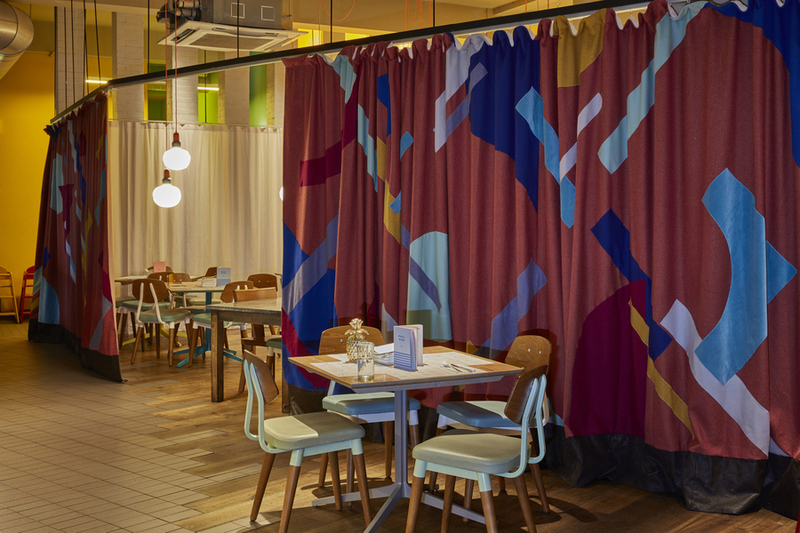 The studio have recently taken on much larger commissions including an over 12 metre-wide bespoke appliqué curtain for the Mexican restaurant Wahaca in Bristol. The 'Collage' curtains take their inspiration from cut and paste collage and feature an energetic design of positive and negative shapes, stripes and floating forms. The curtains when closed help to form a dynamic backdrop to the eating space and when parted help to reveal a larger dining area, allowing the restaurant to expand and contract. Lucy Engels makes quilts that are intended to be statement pieces and heirlooms as well as fully-functioning homeware. 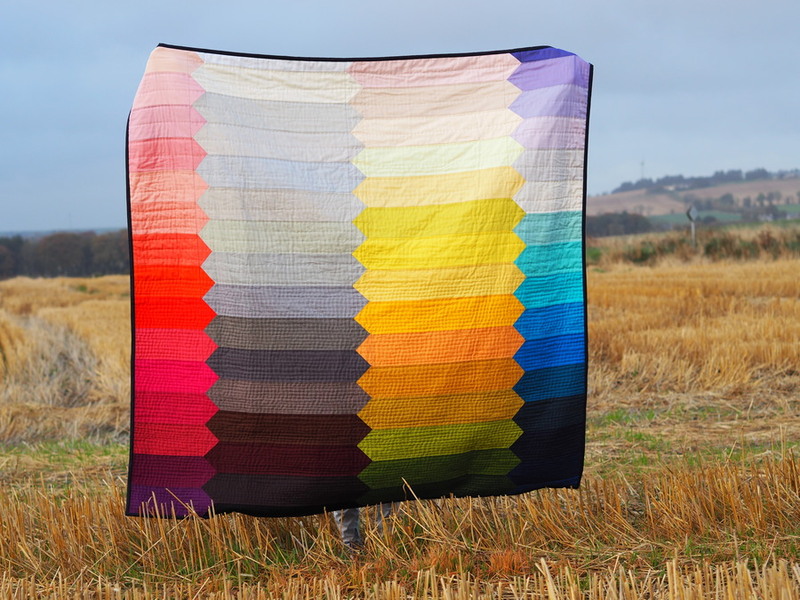 The idea behind her Test Card Quilt was a nostalgic exploration of the colour gradient found on old test cards used on television channels. “I wanted to play with the relationship between colour and shade in a visually appealing way, staggering the horizontal pieces to give the nod to the screen rolling before your programme came on. It’s hand-quilted, which creates a beautiful texture, and I used this technique to enhance the darker tones with densely quilted areas graduating up to lighter quilting in the pale sections.